other initiatives of the Lower the Window campaign in the pipeline include setting up of kiosks in select metro stations and providing discounted rides to and from metro stations. 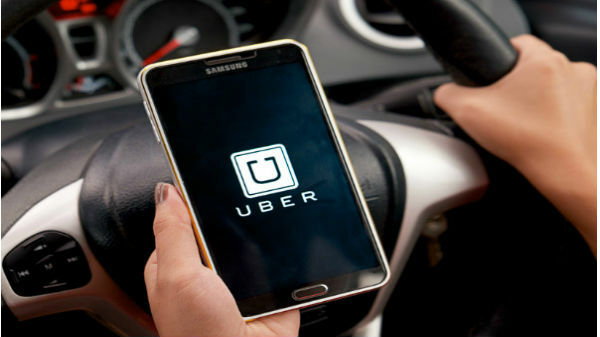 Uber, on-demand ride-sharing company, today announced the launch of its multipronged month-long campaign titled "Lower the Window" to help reduce pollution and congestion in Delhi. Starting 30th November, "Swap your Ride" will offer Delhiites discounts and incentives to leave their private cars at home and maximize the passenger carrying capacity of shared vehicles and public transport. Head of Cities, Uber India & South Asia, Prabhjeet Singh said, "With pollution and congestion reaching alarming levels in Delhi every winter, Uber wanted to be a part of the solution towards ensuring we are breathing cleaner air. We hope that through a series of initiatives that encourage Delhiites to adopt shared mobility and public transit alternatives over private vehicles, we can help reduce the smog so Delhiites can move across the city by lowering the window again." It is aimed at spreading awareness and encouraging private car users to adopt a multi-modal approach, instead of personal mobility, Swap your Ride will allow people to sign up to leave their cars for 4 weeks and receive Uber credits and Paytm-sponsored DMRC (Delhi Metro Prepaid Cards) Credits. Gaurav Dubey, Programme Manager - Sustainable Mobility, Centre for Science and Environment (CSE) said, "There's a huge potential for moving people off private vehicles in Delhi if we can ensure proper integration of public transport and para-transit modes." Furthermore, other initiatives of the Lower the Window campaign in the pipeline include setting up of kiosks in select metro stations and providing discounted rides to and from metro stations as well as provision of flat fares to incentivize first and last mile connectivity. Annapurna Vancheswaran, Senior Director, The Energy and Resources Institute (TERI) added, "The alarming air quality requires Delhizen to adopt safer and sustainable commute options. While the use of mass transport and sharing of a journey through car-pool are some known methods, multi-modal mobility is becoming accessible and convenient to use. Uber's campaign 'swap your ride' is both timely and relevant for Delhi.